I’ve seen a few things telling of how to clean out the teeth of a file. One old-timey way, the source of which I cannot find was to hammer the end of a large nail flat and run that over the file groove-wise. The teeth of the file will cut the nail into a sort of rake which will force out any aluminum or other soft metal bits, even sawdust! So I don’t yet own a file card brush, but I had a few old keys to a padlock that broke. 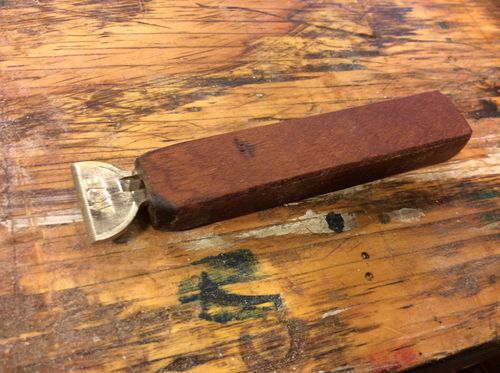 I ground the head of the key to a wide flat spot and mounted it in a small piece of scrap wood as a handle. The key is held in by friction. 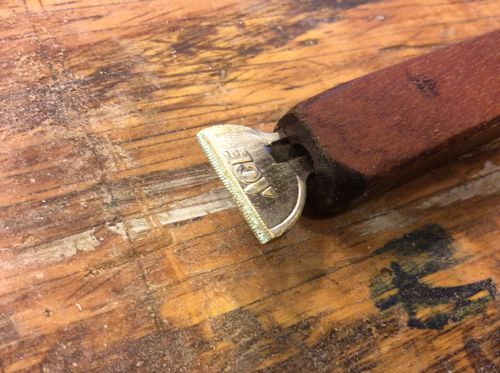 After some use the key gained the grooves that clean out the teeth of the file you are working on. 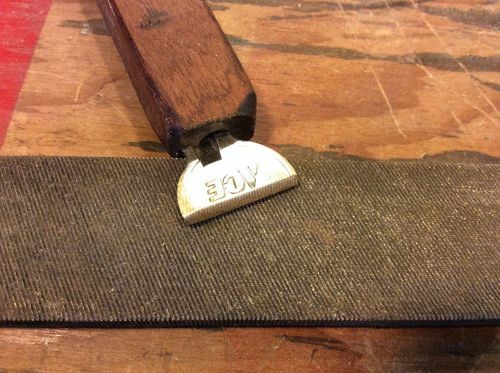 Keys are usually made of brass, so its a good use for old ones. Good tip, Dave … thanks for posting. Have you ever tried soaking your files in white vinegar overnight? If not, give it a try … your files will be as sharp as the day you bought them. For really rusted ones you may have to soak for two days! Wow, two really good tips. Thanks for sharing. I did the vinagar soak a few years ago. It makes for a neat science experiment. Nice tip with the copper Dave. I never heard of the white vinegar trick. May have to try it. Lot less caustic than using the sulfuric acid method. Thanks. I was aware of the file brush. But this is a new technique for me.